About Talasek Builders | Talasek Builders, LLC. 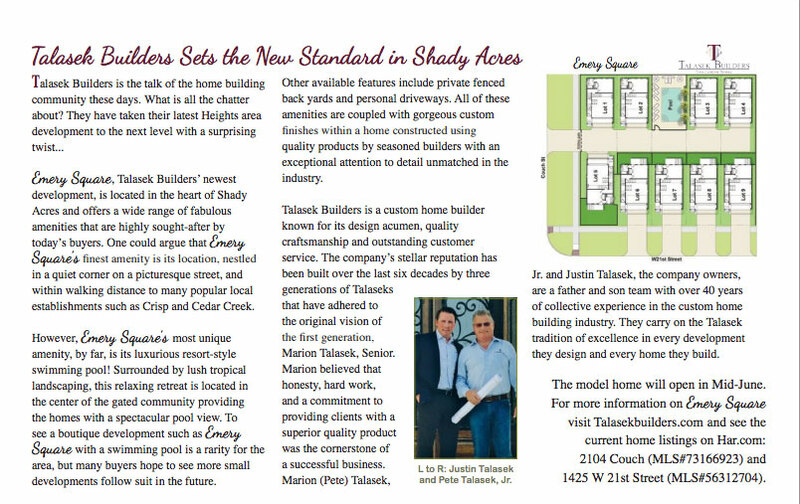 About | Talasek Builders, LLC. Talasek Builders is dedicated to the planning, design, and construction of distinctive individual homes that perfectly compliment the client’s lifestyle. Justin Talasek and Pete Talasek are second and third generation custom home builders with over 40 years of collective experience in the home building industry. Talasek Builders’ philosophy is simple: Each client is given the highest level of personalized service and support during every step of the building process, creating a relationship built on trust, understanding and integrity.